We sharpen knives with a gentle three step process, removing only as much metal as necessary to prolong the life of your blades. 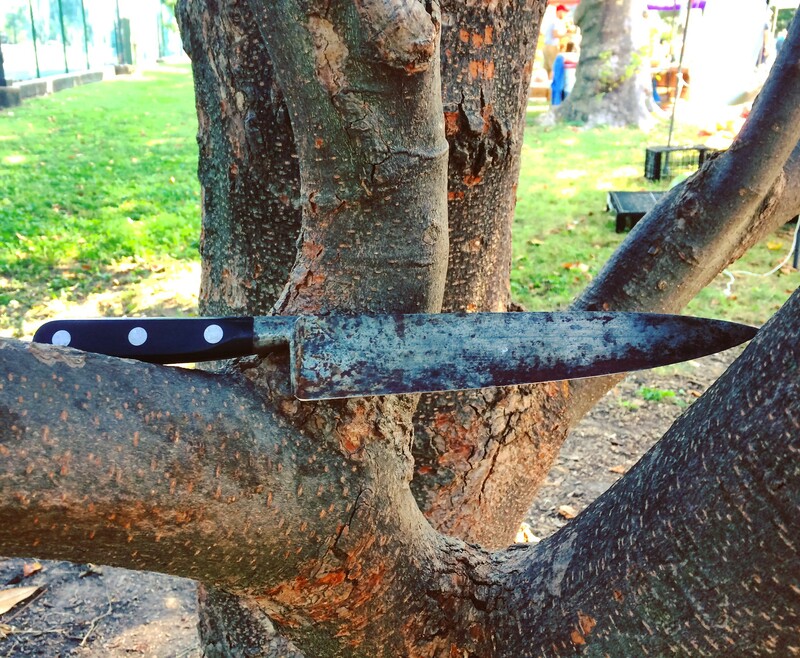 First we restore the edge with a water-cooled grind stone to protect temper. Next we hone the edge with fine grit. We finish it off by polishing it on a third wheel to achieve the sharpest edge possible. 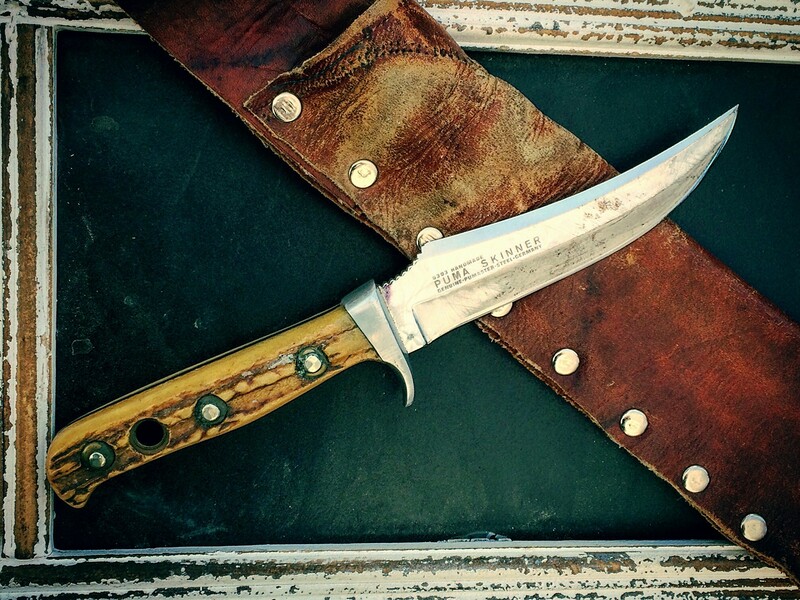 Besides kitchen knives, we sharpen cleavers, pocket knives, daggers, machetes, tactical knives, hunting knives, swords and more! 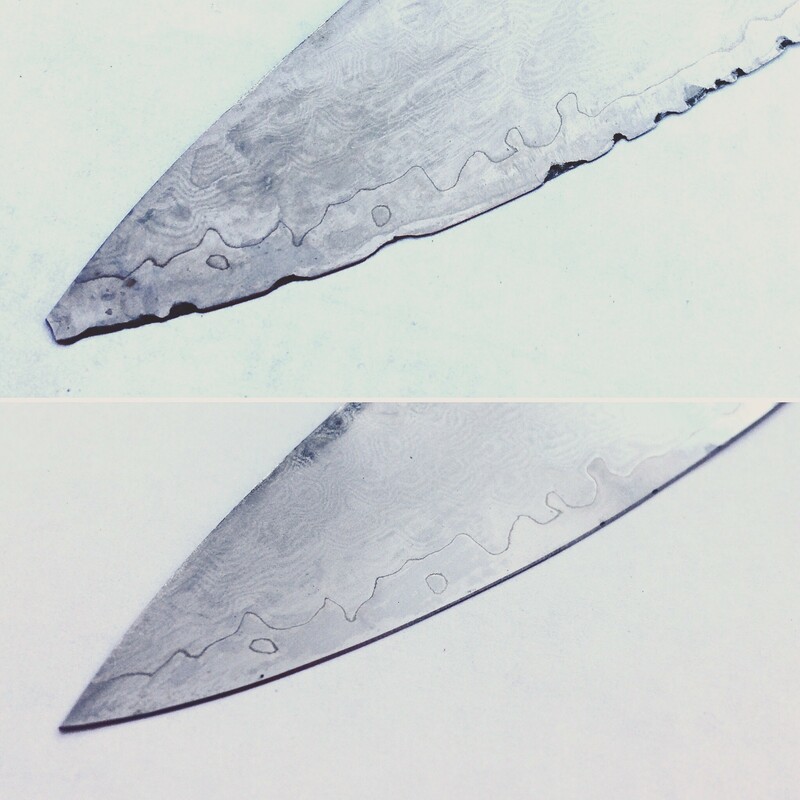 We do sharpen serrated edges. 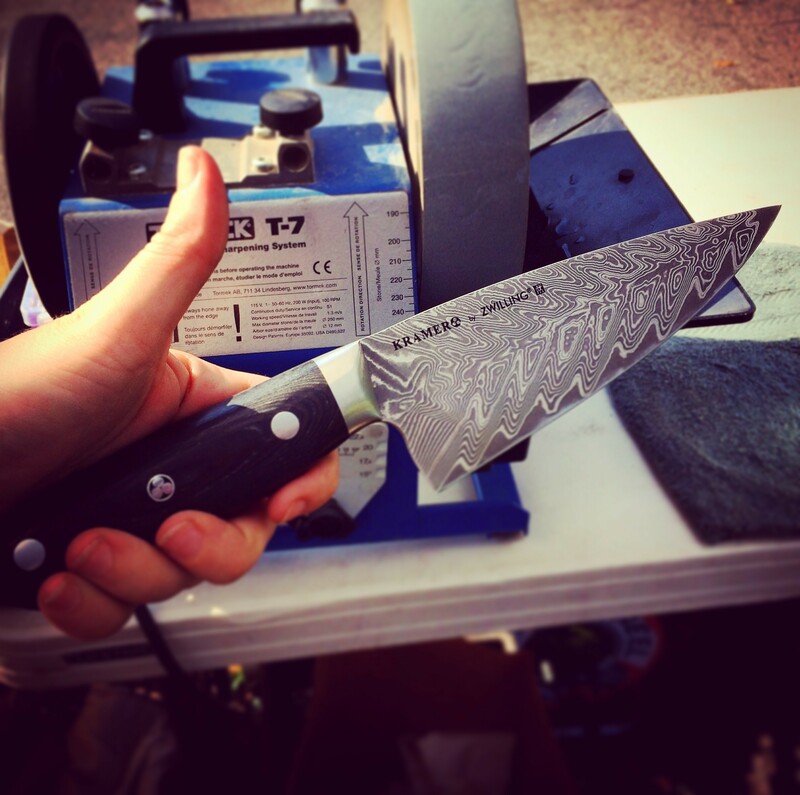 We do not sharpen ceramic knives. Wash your knives by hand when finished using and dry immediately. Water is not a friend to the blade or the handle. The heat of the dishwasher can alter the temper of your knives and make them more brittle. 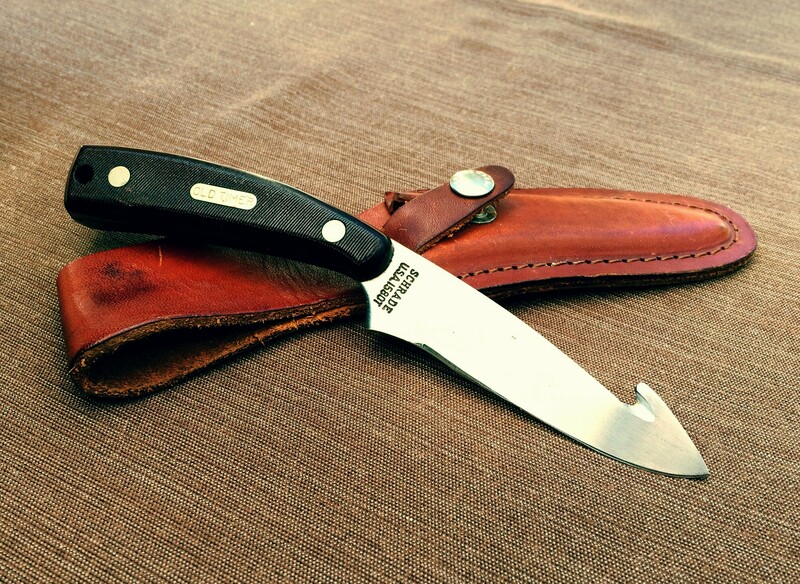 Store knives on a magnetic strip, in a block or in sheaths to keep the edges from being damaged. 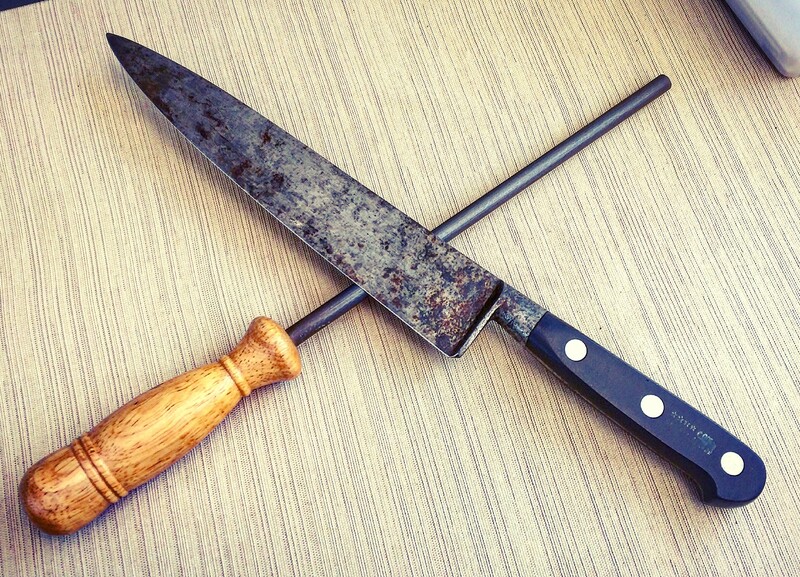 Use knives on wood or soft plastic cutting boards. Avoid countertops, glass boards, and other very hard surfaces. In between each use, we recommend using a ceramic rod to straighten the edge back up. 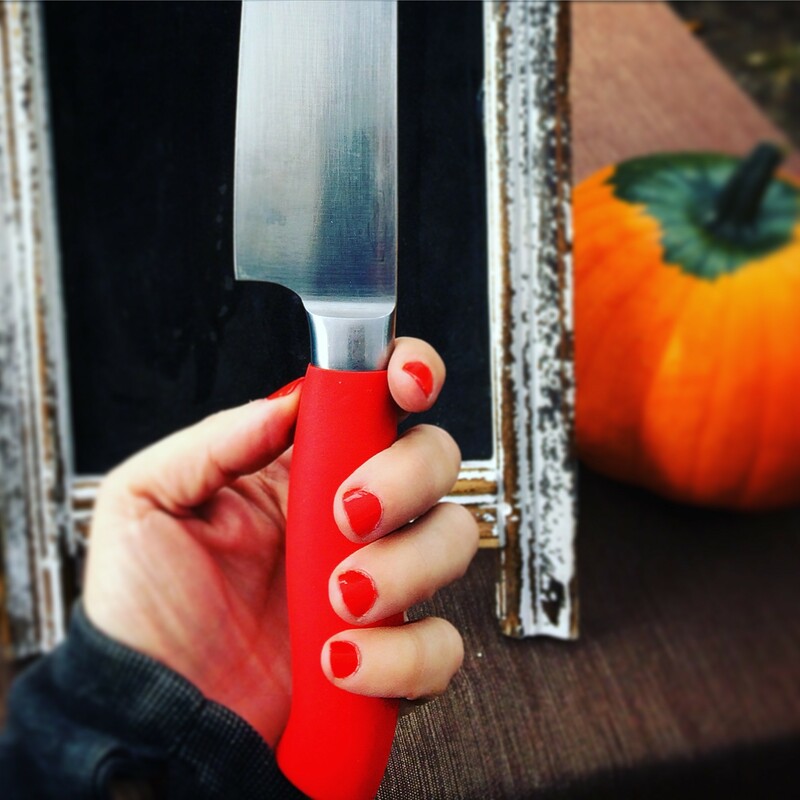 During normal use the edge, being so thin, can roll a bit, causing your knife to feel dull. A steel will work also, but we prefer the rod, as you can feel resistance better. 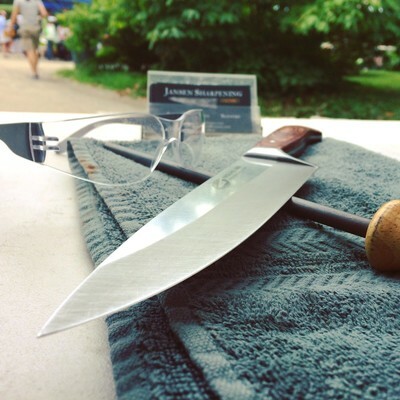 Because knives slowly dull over time, most people are not sure at what point they need to be sharpened. We have a couple simple tests you can do with a piece of paper. It is best to straighten the edge with your ceramic rod or steel before testing. 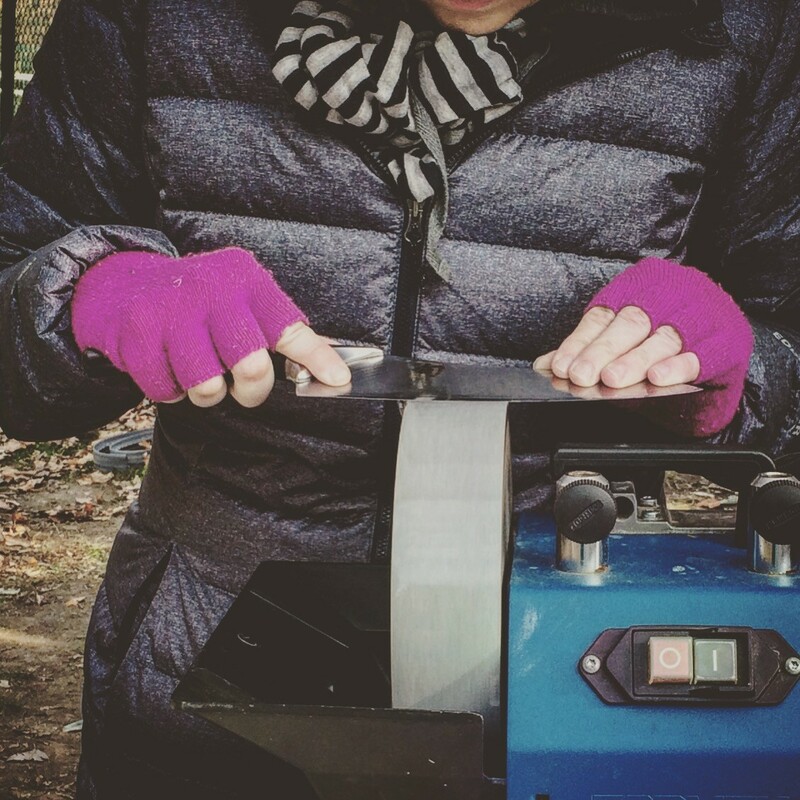 Push Test: Hold the edge of the blade perpendicular to the edge of the paper. Push the edge against the paper edge. If it cuts the paper you're in pretty good shape. The cleaner the cut, the sharper the knife. 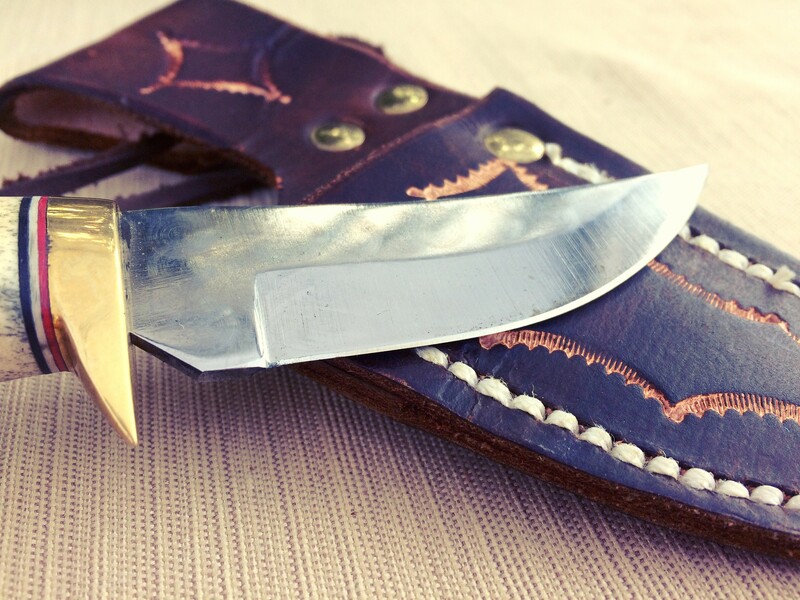 You may want to test a few different spots on the blade, as the tip and belly get different use. Pull Test: With the edge of the blade perpendicular to the edge of the paper, slowly slice through the paper starting at the bolster and working towards the tip. 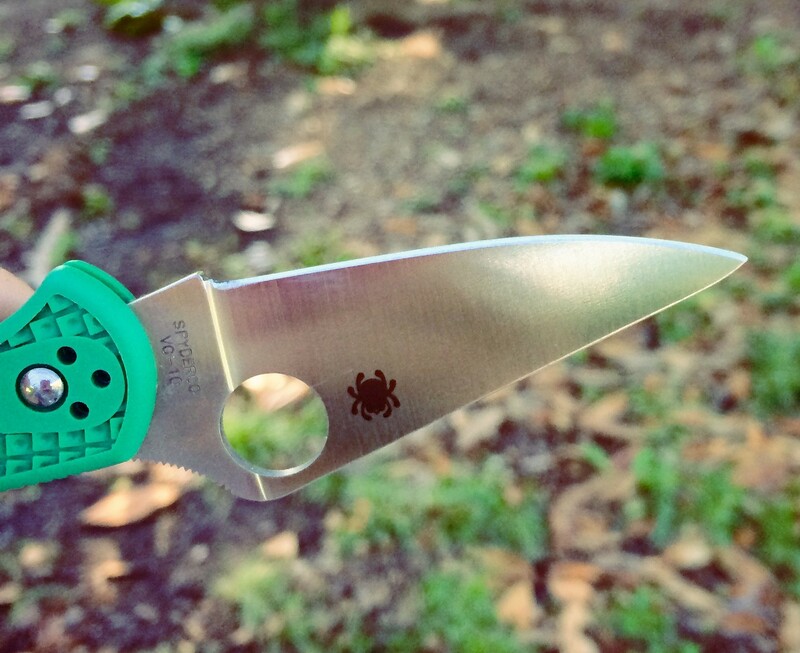 If you feel catching in any spots, there are most likely little nicks that only sharpening will fix. The cleaner the cut, the sharper the knife. 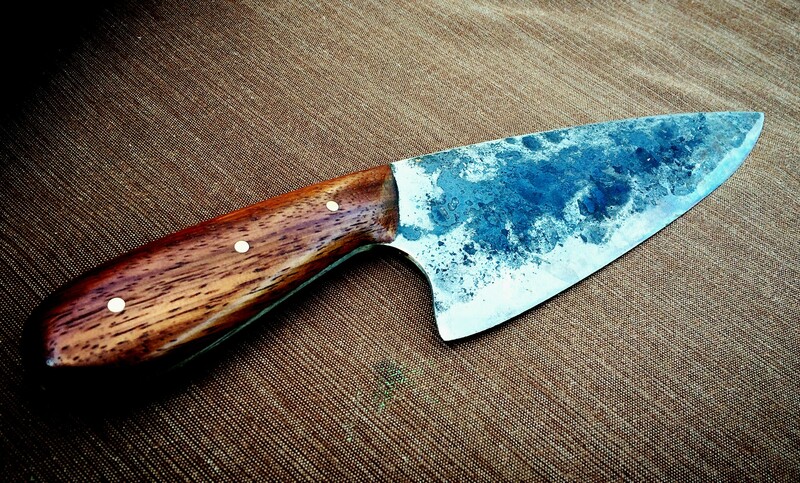 A freshly sharpened kitchen knife should cut paper like butter.